The 2,700 line on the S&P (/ES) has been the midpoint for all of 2018 and we don’t have much reason to think that will change in 2019 as, in the bigger picture, we’re only in the middle of what is likely to be couple of years of consolidation – even if you do believe the S&P deserves to move up to 3,000 just 10 years after crashing from 1,500 to 666. Of course, 666 was silly – the result of a panic that took stocks far lower than they should have been (see “The Worst-Case Scenario: Getting Real With Global GDP!” which I wrote on June 6th, 2010). 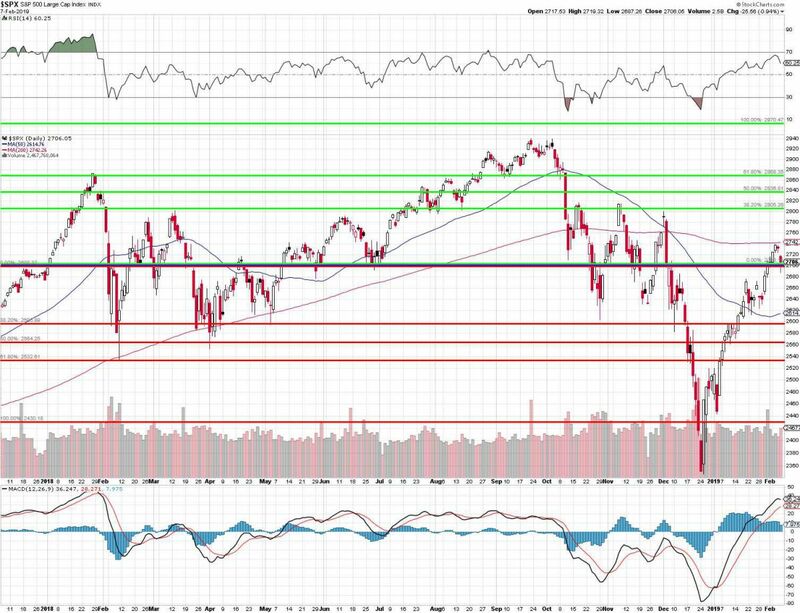 On our Big Chart, 2,420 is the 10% line and this chart adds to the argument that it should be moved up 10% to the Must Hold Line, meaning the point below which we feel the market has turned bearish. Trump’s tax breaks have pumped Corporate Profits up enough to call 2,420 the new bottom and that would make 2,700 the new 10% line(ish), where we would expect the index to consolidate before attempting a move to the 20% line, at 2,970. 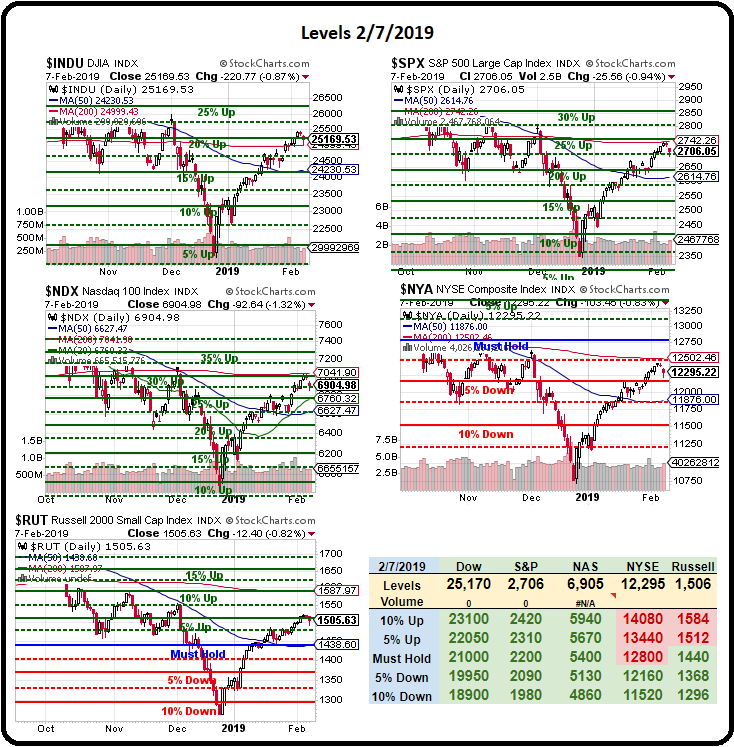 The market is down a bit this morning but nothing tragic and, if we can close above our 200-day moving averages on the Dow (25,100) and the S&P (2,697) – this will have been a constructive week, technically. The 200 dma for the Nasdaq 100 is 7,041 and we’re miles below that but miles above the 50 dma at 6,627 so nothing to see there and the NYSE is also drifting between 11,876 (50) and 12,502 (200) along with the Russell, where 1,438 (50) and 1,537 (200) are the lines to watch.